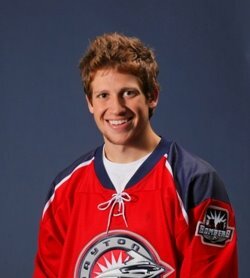 >- Former RedHawk captain Derek Edwardson has a new home for the 2009-2010 season. Eddy joins HC Fassa of the “Serie A” Italian league, after spending the previous two seasons with Heilbronner EC, in Germany. Serie A is the top professional league in Italy. Fassa plays in Canazei, in the Italian province of Trento. – While one alum has a new home for next season, another one is staying put, yet again. Danny Stewart has re-signed for a fourth season with the Coventry Blaze, in England. 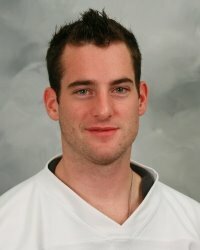 Stewart, a fan-favorite of the Blaze, graduated from Miami in 2003, and helped lead the Blaze to back to back Elite League titles in 2006-2007 and 2007-2008. Coventry finished as the league runner-up in 2008-2009. – An Italian website has forward Marty Guerin signing with SG Pontebba, in Italy. 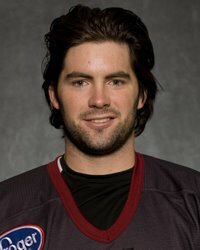 Guerin spent the 2008-2009 season with the ECHL’s Charlotte Checkers, but missed almost the entire season with a knee-injury, suffered early on. Stay tuned to hear if this is a confirmed signing, or simply a rumor. > The Chatlotte Checkers of the ECHL have placed former RedHawk forward Marty Guerin on the 30-day IR. No details of Guerin’s injury were given. > The Hartford Wolf Pack have released forward Marty Guerin on the basis of returning him back to the Charlotte Checkers of the ECHL. Making a difficult subject easier to understand: Guerin went to camp with the Wolfpack, but didn’t make the team, so he’ll play for Charlotte this season. Same situation with Musitelli and the WB/Scranton Penguins. You can read the rest of the press release at this link. The Checkers are the ECHL affiliate of the NHL’s New York Rangers.